The TomTom VIA 1505M 5-Inch Glass Touchscreen Portable GPS Navigator is preloaded with 7 million of points of interest to enhance your traveling experience. A 5-inch, extra-wide, touch-screen LCD display you can easily swipe your finger to move from screen to screen, or pinch-to-zoom, for easy map viewing. It boasts a slim design, crisp, sharp graphics and intuitive user menus. It is also equipped with superior driving intelligence. The TomTom VIA1505M-R has many exciting features for users of all types. It's one of FactoryOutletStore's best selling . 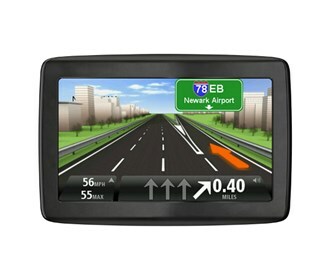 See the TomTom VIA1505M-R product video and gallery images above for more details. FactoryOutletStore stocks a full line of accessories like A/C Charger, Case, and Convert Suction to Dash Mount for the TomTom VIA1505M-R. Feel safe about your purchase of a Factory Serviced TomTom VIA1505M-R, knowing its been fully tested by FactoryOutletStore. How do get rid of the bell noise?